Paramore in Montreal or Quebec City? Inform me about the next events for Paramore. Enroll yourself to our priority waiting list for Paramore to be alerted when new tickets are available. Filling this form doesn't engage you to any purchase. Paramore will be back in Montreal on October 12th, 2017. They will be performing at the St-Denis Theatre. Hayley Williams and her bandmates will be stopping by Montreal to promote their 5th studio album, After Laughter, which was released last May. This will mark the band's return to Montreal, four years after their memorable last gig in November of 2013. 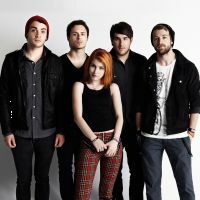 Don't miss Paramore as they bring their exciting brand of pop rock to Montreal this Fall !